Here's the solution as you drop your own custom flakes on the desktop, it's also no matter if it's snowflakes or other pictures (from Version 3.23)! The images must be smaller than or maximum 128 x 128 pixels in size. Up to eight different images are currently accepted. If you have prepared the pictures, please simply drag and drop them on DesktopSnowOK and set the desired options. Optionally simply, turn on or off ... spinning ergo rotate feature for the Snowflakes! (Image-1) Own Images for the Desktop Flakes? 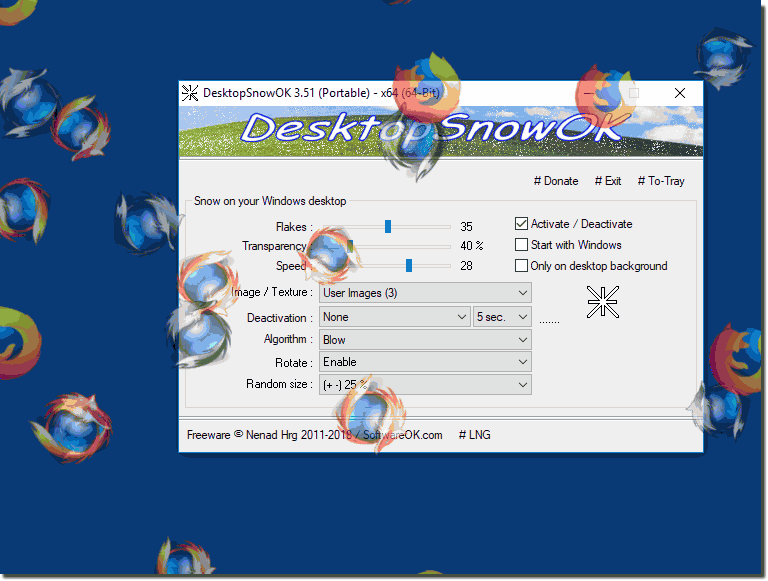 (Image-2) Firefox Desktop Snow Flakes Example! 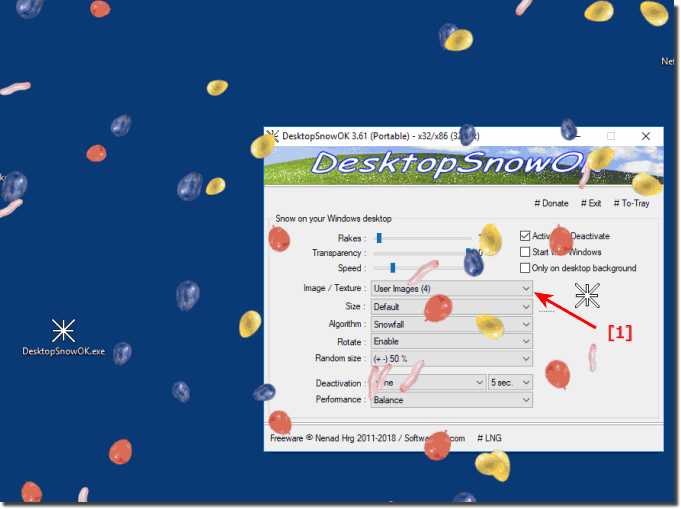 DesktopSnowOK - FAQ-4: Drop your own custom flakes on the desktop?